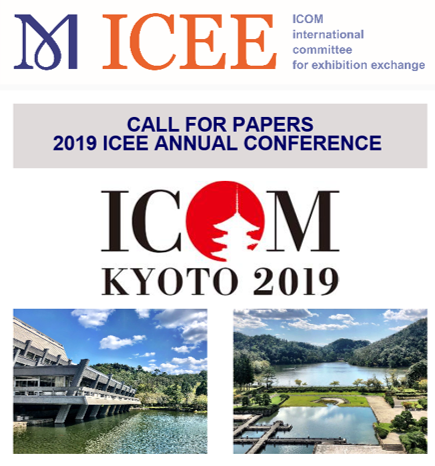 The ICEE Board is thrilled to launch the call for papers for our 2019 Annual Conference to be held from September 1-7, 2019 in Kyoto, Japan, as part of ICOM's 25th General Conference. For its 2019 Annual Conference, the ICEE has chosen the theme Building Resilience and Reinforcing Relevance in Exhibition Exchange. This theme builds on the theme of the general conference “Museums as Cultural Hubs: The Future of Tradition” through the lens of exhibitions, examining how exhibitions contribute to the role of museums as cultural hubs in powerful ways by helping Museums build their resilience and reinforce their relevance in an increasingly competitive cultural marketplace.